Welcome to Statewide Roofing Supplies, your home of quality Australian Made Steel Roofing, Fencing, and Verandah supplies in Adelaide. Statewide Roofing Supplies have been supplying the highest quality Steel roofing and fencing products to Adelaide for over 30 years. We supply ONLY Australian Made Bluescope Steel products from all of the major brands including Colorbond, Lysaght, Fielders, Stratco, Revolution Roofing, Velux, and more. If it’s an Australian Steel roofing product, we can get it. 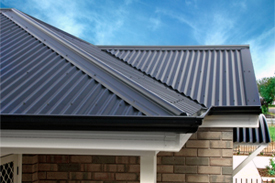 When you’re looking for quality steel roofing or fencing supplies in Adelaide, think Statewide Roofing. We supply the full range of Colorbond roofing supplies available in all of the Colorbond Roofing profiles & colours, from the leading brands including Lysaght, Fielders, Revolution Roofing and Stramit. View our range of Roofing Supplies here. 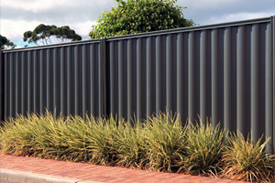 We supply the full range of Colorbond Fencing supplies available in all of the Colorbond Fencing profiles & colors, including Good Neighbour Fencing, Post and Rail Fencing, and the Lysaght Fencing collection. View our range of Fencing Supplies here. We supply a wide range of Colorbond Steel Verandah, Pergola, and Carport materials, in the full range of Colorbond colours and from all of the major suppliers including the Lysaght Living Collection. 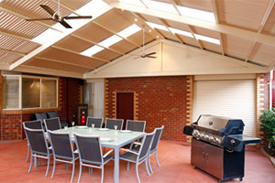 View our Verandah and Pergola supplies here.